Penetration of internet has grown exponentially over the past couple of years- apart from the internet available only as a surfing or information gathering platform it has also expanded into various other facets such as new and innovative ways of finding information and doing lot of things apart from simple viewing and surfing. Mobile apps development is one of the largest branches of internet through which the audience can surf, browse, gather information, buy and sell products and services, bookings etc. One cannot imagine the new and innovative processes through mobile application development can be carried out. These days lot of chat applications are delivered through this platform to enable on the go communication – So a whatsapp application development is a comparatively newer and fastest growing segment of the application arena. Lot of LMS(learning management systeM) solutions are also delivered through the mobile to foster higher level of learning and collaboration. 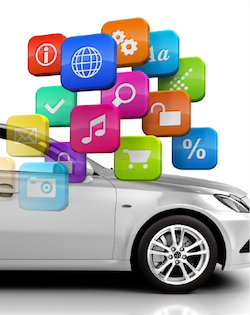 Mobile application development has also seen a considerable use and market in the auto segment-where people are now surfing and browsing latest offers on new and old two wheelers and four wheelers. The largest used application in this segment is Car Dekho which allows the users to search of their choice of cars or motorcycles across the country and know the latest price and offers. Apart from showing information these applications also enable the user to send instant queries to the sellers and associated dealers for further details. Such an application allows the buyer to save a lot of time which is otherwise spent on going one showroom to other to enquire about the prices and offers- now they can do all of this from the comfort of their homes or offices.